I feel like I've been using Instagram more than my actual camera recently as I am sure a lot of other photographers have been too. My most recent 'favourite' gram is this...taken in Manchester at the weekend and went worldwide within 5 seconds of taking the image. That's the joy of modern technology surely? 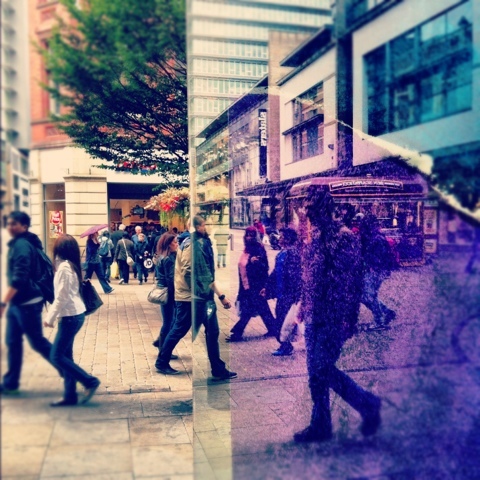 The right half is the corner of urban outfitters window Mcr an the left is normal..! Ta! All images Copyright of Linzi Cason Photography unless otherwise stated. Powered by Blogger.